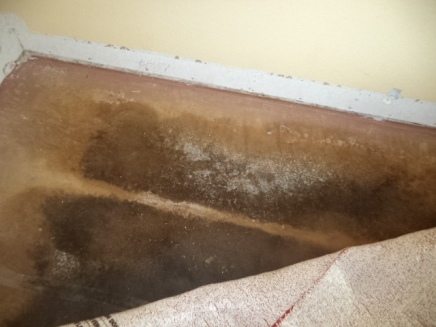 We frequently receive emails from tenants asking about the landlord responsibility for mold in an apartment or rental house. When tenants find mold in an apartment or rental house, they usually want the landlord to pay for mold removal. Sometimes disputes occur when landlords don’t want to pay. We can tell you a bit about landlord liability for mold in rental housing, but it’s important to understand that the laws vary from place to place and laws also change over time. Consult an attorney in your state if you need to know the specific laws that apply in your area. We definitely recommend consulting an attorney before you decide to stop paying your rent or to violate your lease in some way. What Is the Landlord Responsibility for Mold in a Rental Property? As of 2013, there are no federal laws regarding what amounts of mold are considered safe. Landlord/tenant law is not typically covered by federal law, either, but by state laws, which vary from state to state. As of 2013, only a few states have laws regarding what amounts of mold are considered safe. In most states, that’s not dictated by law. Landlords must notify tenants about the presence of mold in a rental property before the lease is signed. Not knowing about the mold is not an excuse if a “reasonable person” would have known. Landlords must remove mold from a rental property and are responsible for the cost of mold removal if the mold occurs as a result of something the landlord is responsible for (for instance, if a leaky roof or a broken water pipe leads to a mold problem, the landlord is usually responsible for fixing the roof or the water pipe, and would also have to pay for removing any mold that resulted). Landlords must remove mold from a rental property if it presents a health hazardous or makes the home unlivable, even if the mold occurred as a result of something the tenant did (for instance, if the tenant left windows open when it was raining, so that the carpet got wet, and then became moldy); however, the landlord can charge the tenant for the cost of mold removal if the mold problem was the tenant’s fault. A few cities also have laws regarding how much mold is considered safe and landlord responsibility for mold. To learn more about the laws where you live, contact your local Environmental Protection Agency or State Department of Public Health. Of course, you can also consult an attorney. To find out if you have mold in an apartment or rental home, you can purchase a do-it-yourself mold test or you can call in a certified mold tester. Having a professional test for mold costs more, of course, but it provides more accurate results. You can ask your landlord to cover the cost. Follow this link to get a list of certified mold testers in your area. You can schedule a free in-home consultation with a mold removal professional to learn more about mold removal and to get a written estimate of the cost. Don’t sign anything stating you will pay for mold removal if you are expecting your landlord to pay, though. Follow this link to find mold removal professionals near you offering free in-home consultations.